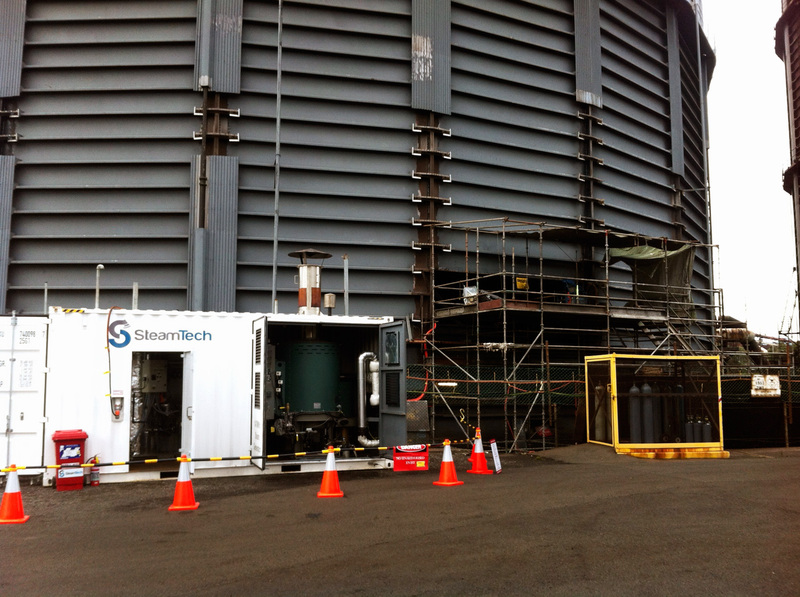 Steamtech was approached to supply the methodology and equipment to remove coal tar from the walls around the piston in a gas holder on the Bluescope site in Wollongong. 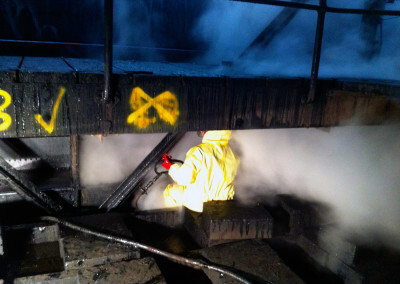 The existing method was to use high pressure water operating at 10000psi. 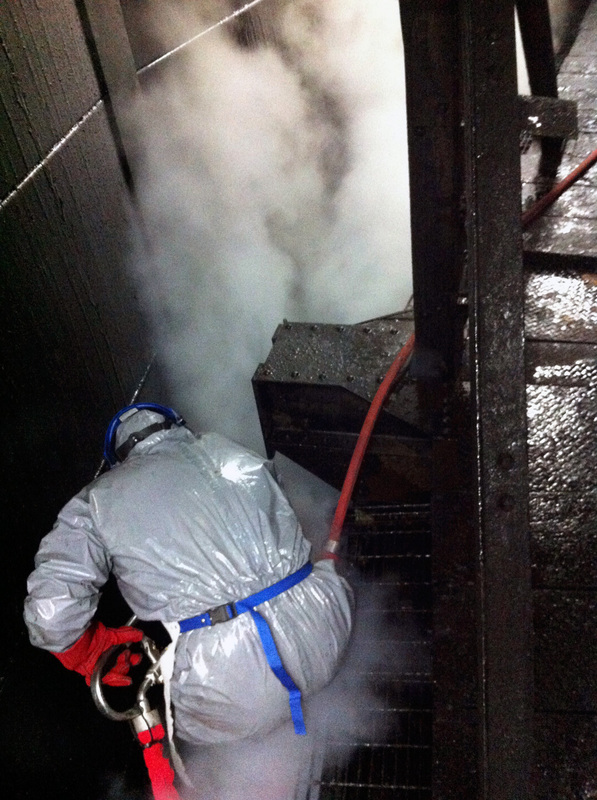 After carrying out trials at Steamtech in Auckland we we able to develop a system to remove the coal tar and allow up to five steam gun operators in at the same time. 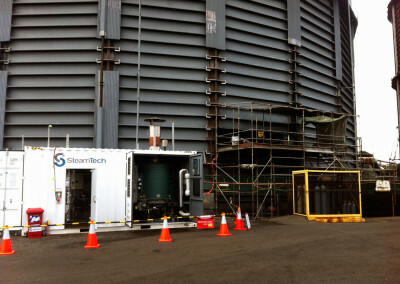 Two 20″ containers of equipment including a 150hp steam generator were shipped to Wollongong to complete the project. 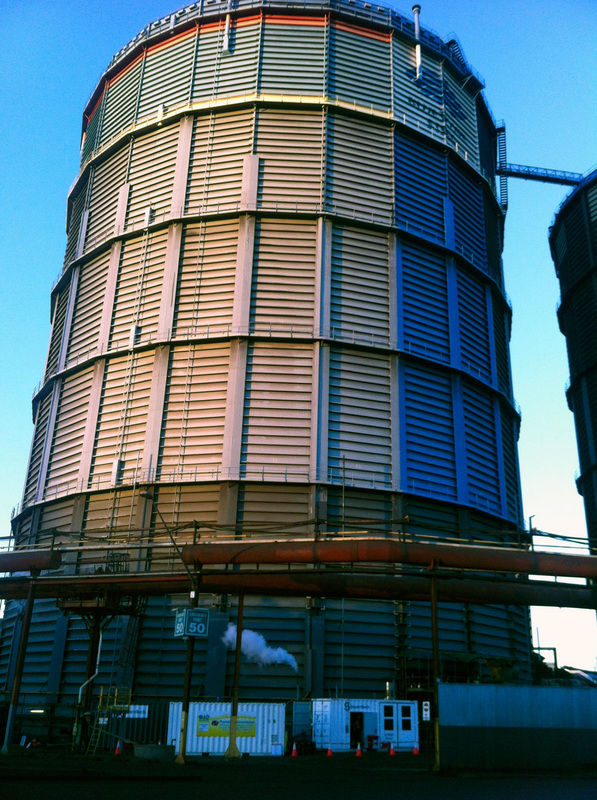 The use of steam protected the gas holder from damage that would be caused by the high pressure water. 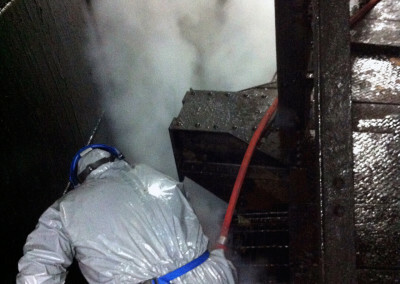 It also reduced the amount of waste water that had to be disposed of. 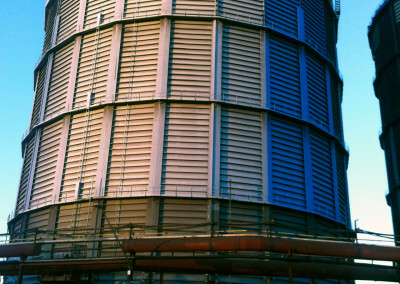 Copyright © 2016 - 2019 Steamtech | Developed by Fuel Media Ltd.